Castles are not commonly sought after for accommodations but they are nothing short of spectacular. Around the world, many of the fairytale-like castles stand as a reminder of a time when princesses existed and wars were waged. Some are grand, sitting atop mountains overlooking breathtaking landscapes while some are charming and float ethereally on glistening lakes. Each castle has its own unique history; many inspired by the popular fairytales of Sleeping Beauty and Cinderella. 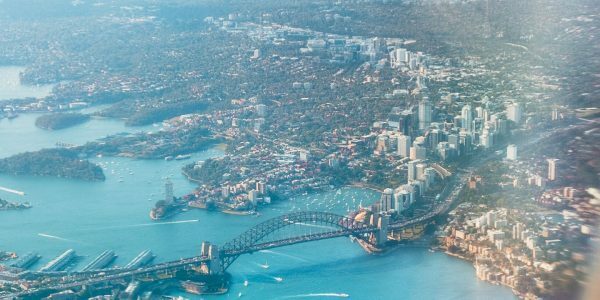 A visit to any one of these incredible spots will help you realize that these legendary structures really are as epic as they seem in the movies. Here’s a list of the top 25 grandest and most overlooked castles from around the world. This wouldn’t be a list about castles without Neuschwanstein at the top. It is charmingly placed atop a rugged hill surrounded by evergreen conifers. 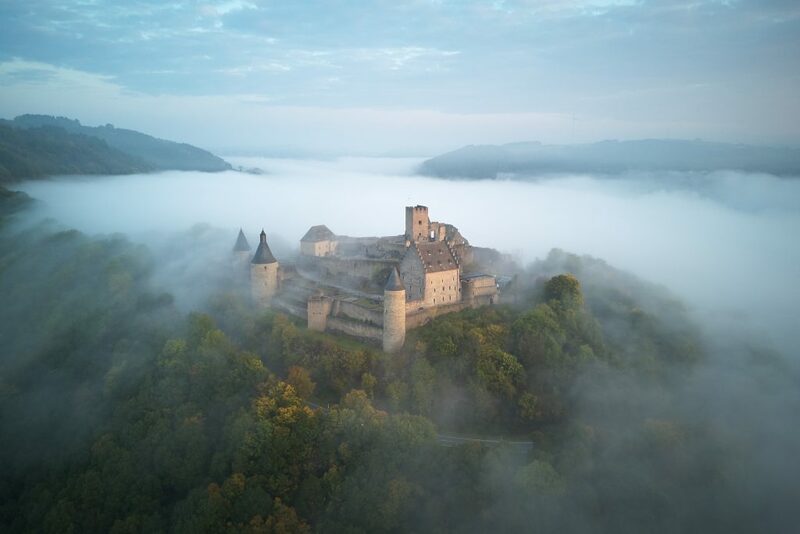 The elevation created by this ornate castle boasts an impressive view and when seen from afar, gives the sense that it exists in a realm of its own. The blue slate roof and white facade with a fairytale-like chateau is delightfully easy on the eyes. It is thought of as the main inspiration for Walt Disney’s Sleeping Beauty castle in Disneyland. 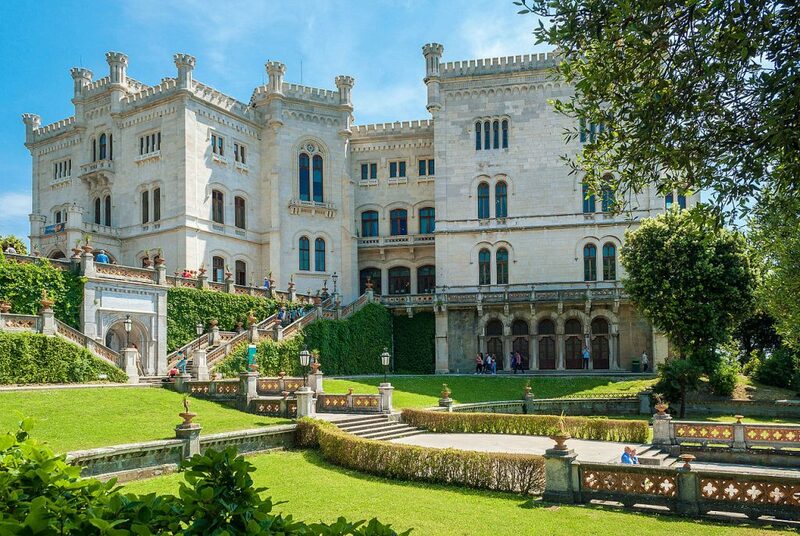 Although the interior of the castle was never fully finished due to the untimely death of its creator King Ludwig II, tours can be booked to explore the 200+ rooms of this grand masterpiece. To book your tour check out this link for more information and tickets. 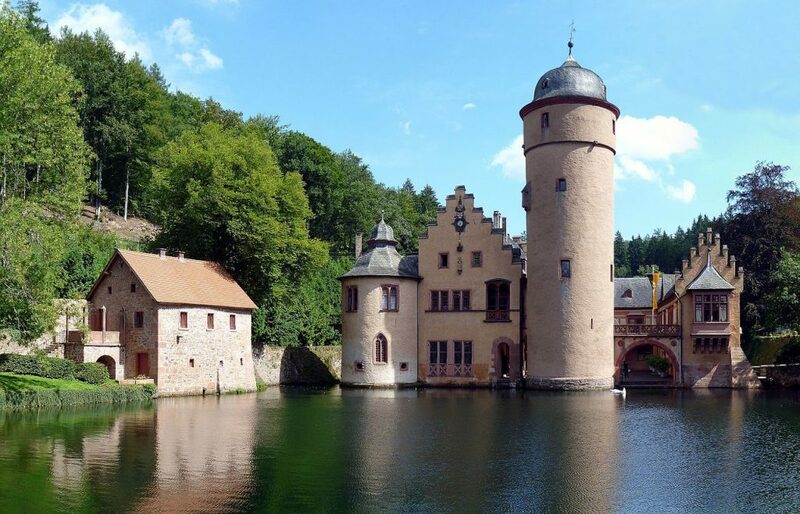 Germany has no shortage of castles and is home to some of the world’s best. Eltz Castle is another medieval beauty nestled among the hills above the Moselle River. 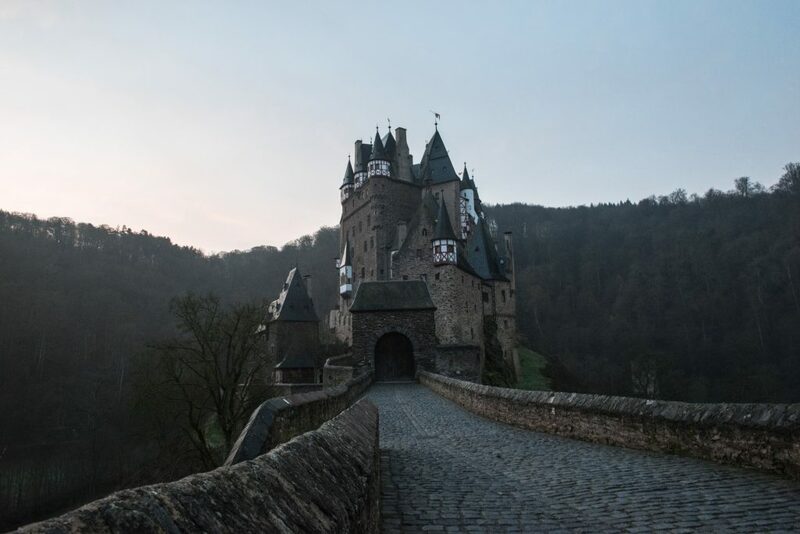 Towering high on a rock and surrounded by forests, Eltz castle has survived unscathed through wars and been cared for by the same family line for eight centuries. The grounds and interiors can be enjoyed from 9:30 A.M. TO 5:30 P.M. daily. If you’re feeling adventurous, head out on the Eltz castle Panorama hike to enjoy the enchanting structure from every angle. Scotland has some of the most glorious castles, mansions, and old ruins on the planet. Amongst them, Edinburgh Castle is certainly the most famous. 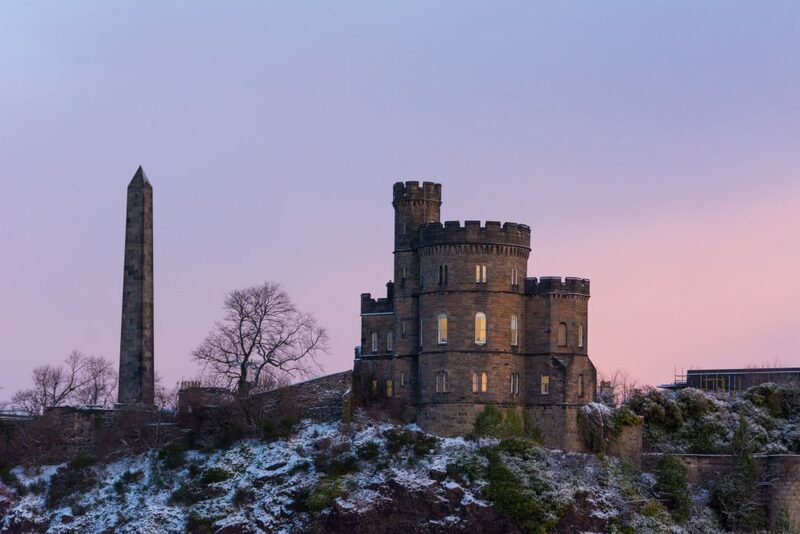 The castle is a historic fortress that sits high on a rocky plinth above the city of Edinburgh that is an iconic part of the skyline. One of Scotland’s most popular tourist attractions and easily accessible from the city by foot, bike or car. The grounds are stunning and look amazing in all types of weather; many British lovers hold their weddings here. 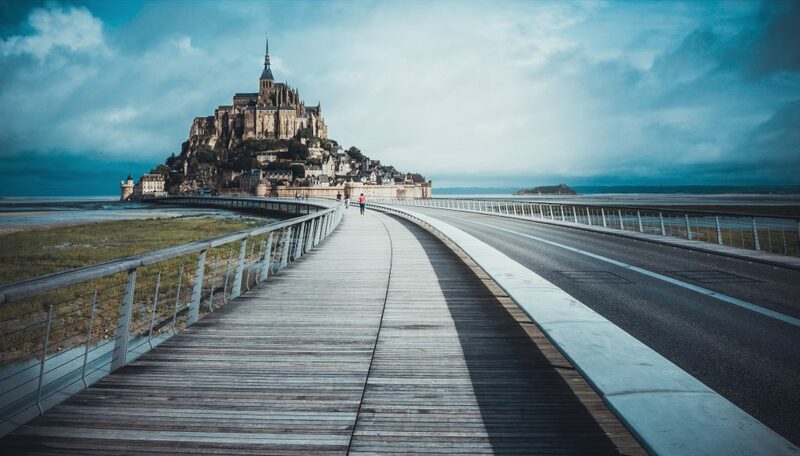 One of France’s most famous and certainly most striking castle is Mont Saint Michel. It’s is an island off the coast of Normandy that floats in the middle of the bay like a castle out to sea. The island is accessible by a bridge walk. At times this picturesque landmark is inaccessible due to the hight tide, but the views of the pretty turrets floating alone in the ocean make it all the more sublime. Mont Saint Michel and it’s bay area are a UNESCO world heritage site. The 60 inner buildings have been protected so it can stand proudly for centuries to come. Hopefully it doesn’t fall into the sea anytime soon! This church on an island is not technically a castle, but the silhouette turrets of this remarkable little structure set against the sunset would have anyone think otherwise. 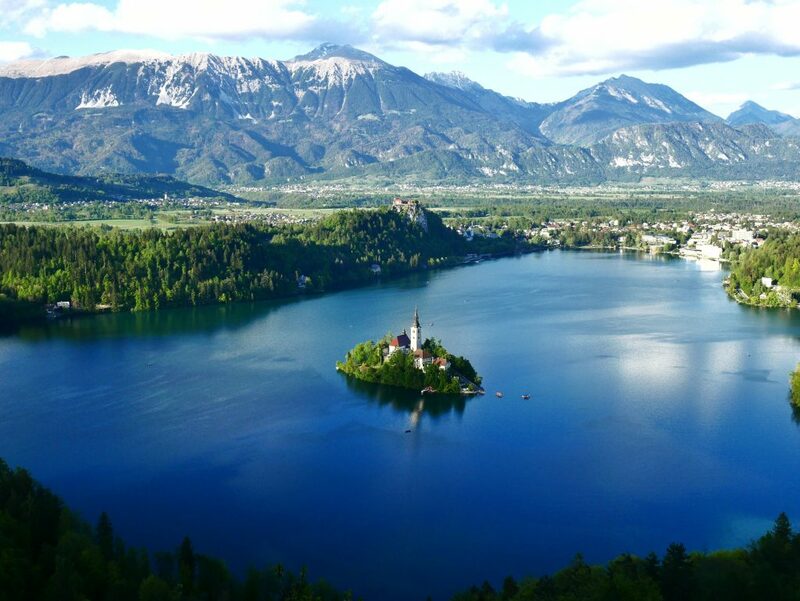 Floating in the centre of Lake Bled, the church is a popular viewing spot at any time of year. Each season brings a beautiful backdrop of nature to enjoy; the vibrant autumn leaves or crisp winter snow. Summertime is the perfect time for taking a brave dive into the depths of the sea and swimming to shore. In the colder months you can hire a rowboat (how devastatingly romantic) or take the traditional wooden gondola called the “Petna”. The church houses the “wishing bell,” which is said to make any wish come true. As far as romantic places go, this one has to be high on the list. Built in the image of the English garden with a large lake at the front, surrounded by forest, Trakošćan Castle’s pretty face is the gem in the crown of Northern Croatia. The spires of the fairytale structure peak serenely out through the trees. Over the years it is slowly falling into disrepair but that only adds to the charm of this unique little structure. To protect residents from attack, it was seen as a great idea to stick a castle foundation in the middle of a body of water or build yourself a moat. Incidentally, this made the castles all the more charming. This renaissance style castle is over 800 years old and is owned by the Ingelheim family who still live inside a portion of it. A real life dream come true but also must be a real life pain to keep warm in the winter months. On the flip side, the reflection of this gorgeous building from the still waters probably make up for it. Perched on a rocky hill, high above a valley with a flowing river below, lurks a castle known as the home of Count Dracula! 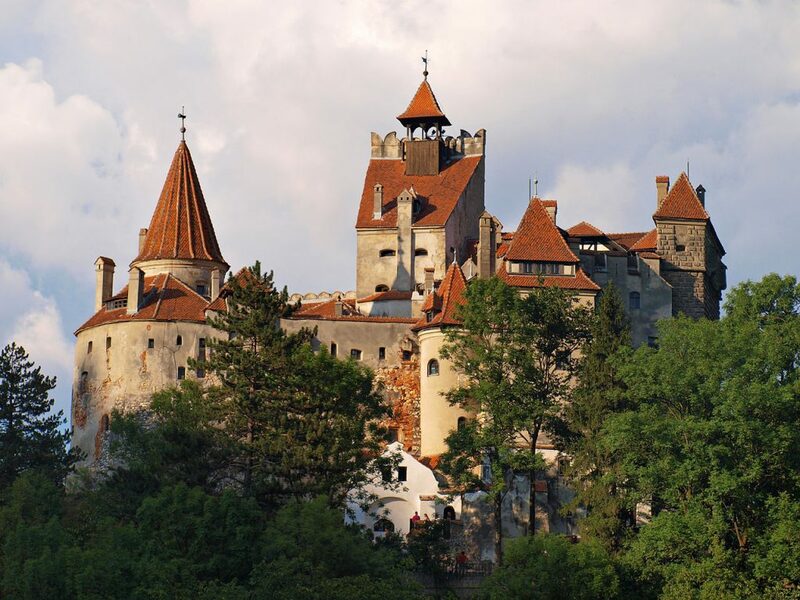 It may only be known because it’s the only castle in Transylvania that fits Bram Stoker’s description of the Count’s foreboding home. Ironically, Bram Stoker never visited Romania and wrote the book from his home in Whitby, England with a view of a fascinating old Abbey. 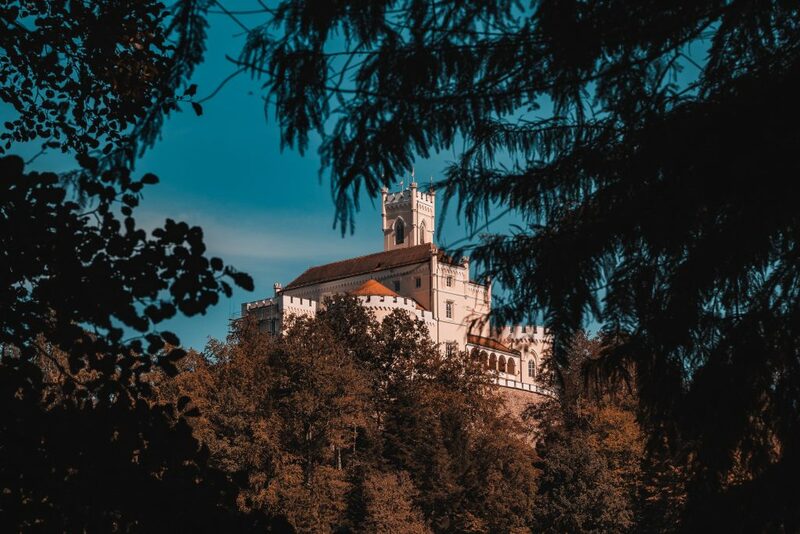 The Bran Castle in reality is effortlessly beautiful with a red slate roof and white bricks towering high above the land. 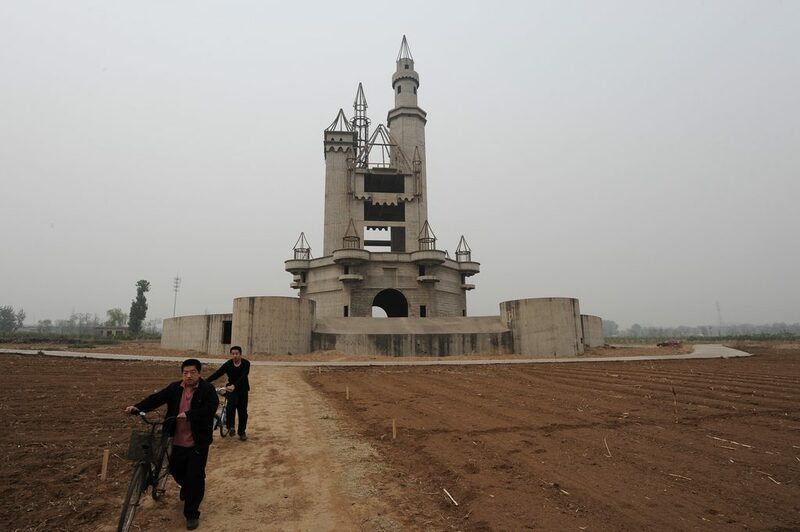 China’s answer to Disneyland was never fully realized. The creepy remains of “Wonderland” amusement park stand abandoned on the outskirts of Beijing due to legal and financial issues. An unfinished skeletal version of Cinderella’s castle stands forlornly at the centre of a forgotten land. 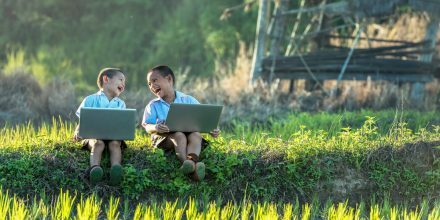 Only odd tourists and local farmers witness its half realized glory. 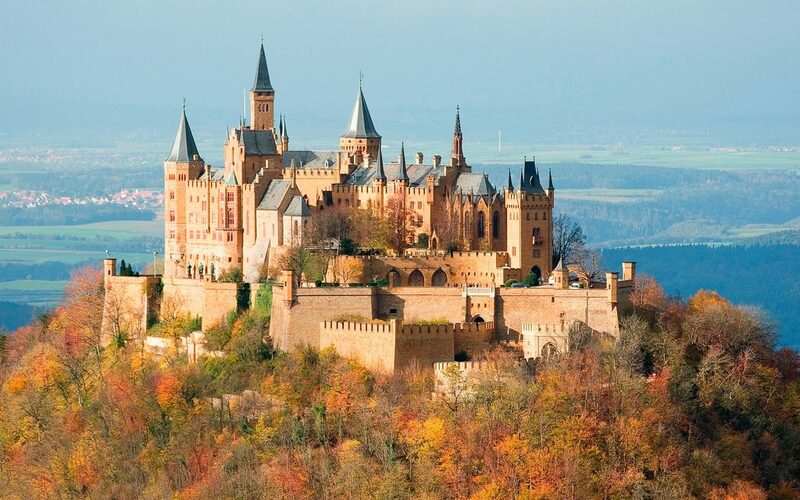 Hohenzollern Castle is a Prussian Royal House of opulence that sits atop Mount Hohenzollern that overlooks the city of Hechingen. It’s grand turrets and numerous outbuildings are strikingly decorative and can be viewed from miles away. The castle itself offers sweeping panoramic views from its lofty ramparts. This Neo-Gothic structure could easily be ‘at home’ in a story book that houses a beautiful princess. Pena Palace takes advantage of a colourful style of architecture. 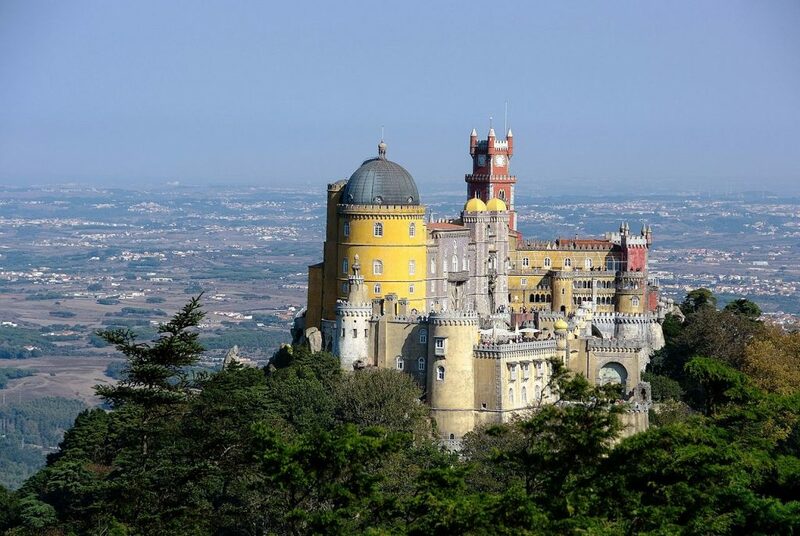 The flamboyant romanticism style of vibrant yellows and reds contrasting against the vivid green forests of Pena make it an iconic structure of Sintra’s skyline. Romania’s many castles paint a rich medieval heritage. 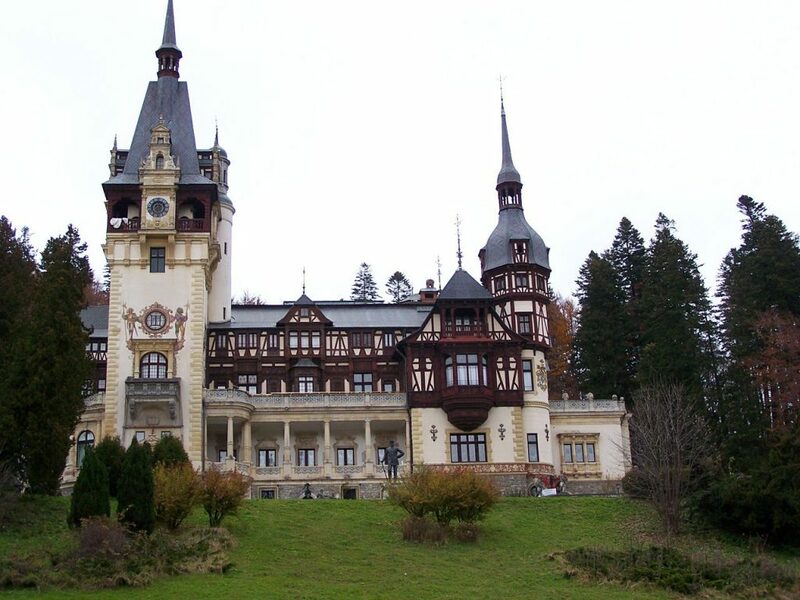 In the picturesque surrounding of Sinaia is Peles Castle. An unusual looking castle that has more of an English Medieval vibe than an ornate brick castle, and is a unique rendition of German Neo-renaissance architecture. There are many examples of Art Nouveau in the interior styling. This place is now used as the biggest museum complex in Sinaia. It is set against the green hills of Southern Romania and crafted in amazing detail. Nearby is it’s little brother, Pelisor Castle, it is smaller but equally as quaint. Dunmore house is another example of a once regal heritage returned to ruins and now sits abandoned in Scotland. This Tudor Gothic mansion has long since lost its roof but the structure remains as a reminder of the epic wealth and grandeur of life in the past. In its surroundings sits a building ranked as the “most bizarre structure” in Scotland. 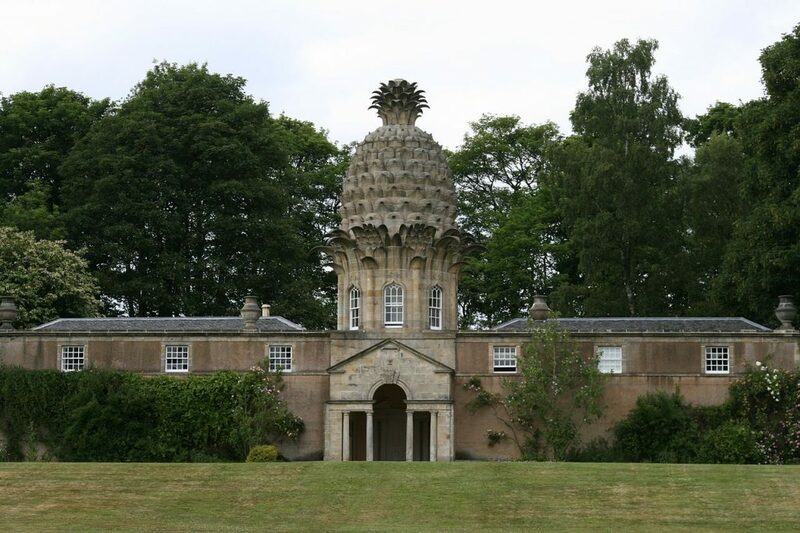 Once a walled garden, the outbuilding known as the “Dunmore Pineapple” actually looks like it has a giant pineapple placed on its roof like a hat. 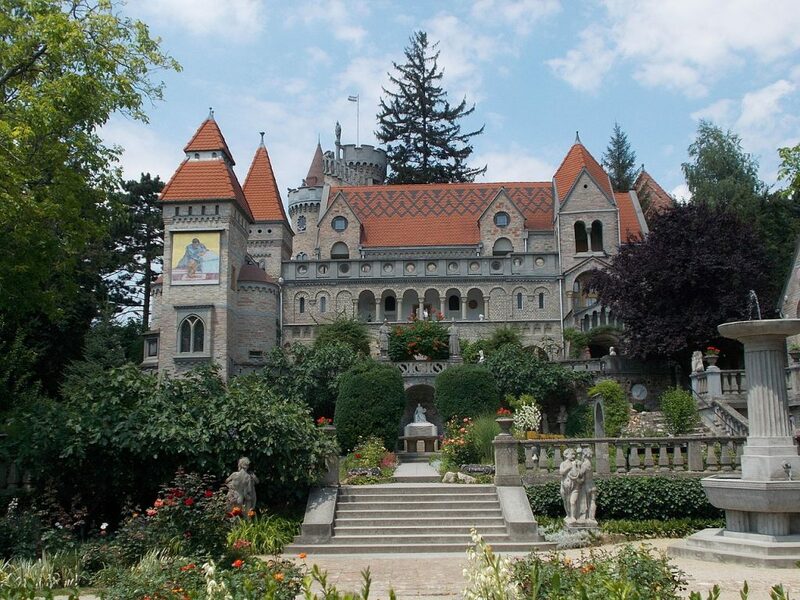 The epitome of a fairytale castle, Bory Var, is a lesser known castle built entirely by artist and architect Jenő Bory as a promise to his beloved wife. Only one of two self built castles in Hungary, it’s practically a hidden gem. The concrete walls and towers are a sculptural work of art, and the interiors are just as exquisite decked with ornate domes, staircases and fountains. Wander at your leisure around the castes numerous sculptures, towers, and paintings of Bory’s wife. If only we all knew someone who would build an entire castle in our honour! One of many castles in Japan modelled in the ancient style; this multi-levelled structure with the iconic mint green roof and delicate golden embellishments is one of Japan’s most famous landmarks. The surrounding moat and park is intricately arranged in a maze of paths and welcoming grassy areas that offer a range of viewing points around the castle. The park brings a gathering of visitors every season. With a bento lunch box in hand and a few cheap beers, it’s the perfect spot to have a picnic among the cherry blossoms in the Spring. 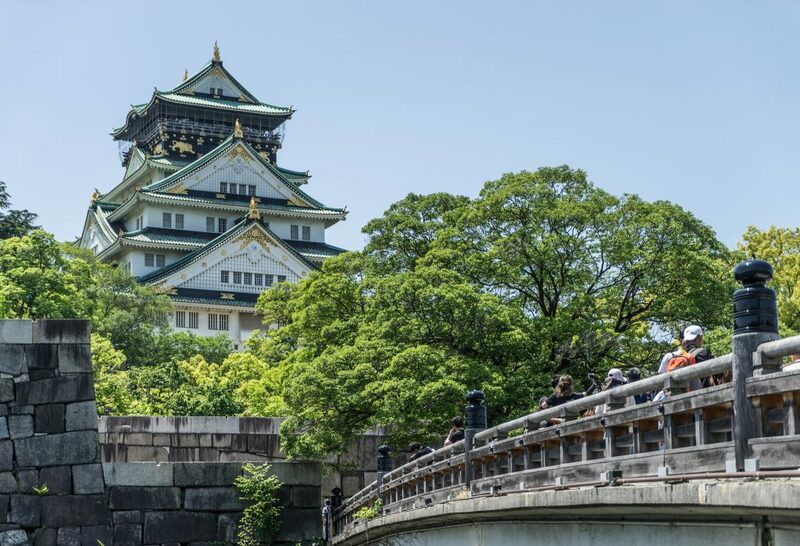 Most castles in Japan were destroyed by earthquakes and natural disasters, Osaka castle being one, but the design and culture significance is no less impressive. 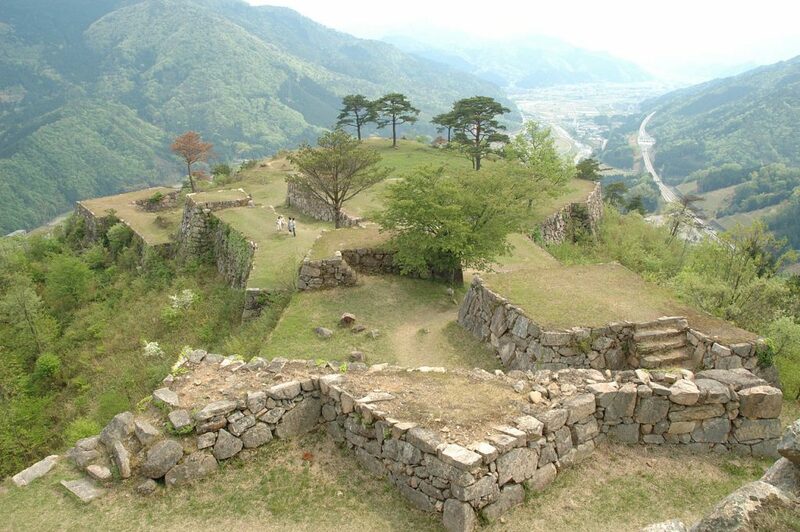 Takeda Castle is really a ruin in a remote part of Western Kansai, with only the foundations remaining of the original structure. The views across the land are stunning, and if you can get there early enough you’re in for a treat. Takeda was the inspiration for Hayao Miyazaki’s Laputa: Castle in the Sky, and when the morning fog settles densely around the foundations of the ruin it literally looks like a castle in the sky. 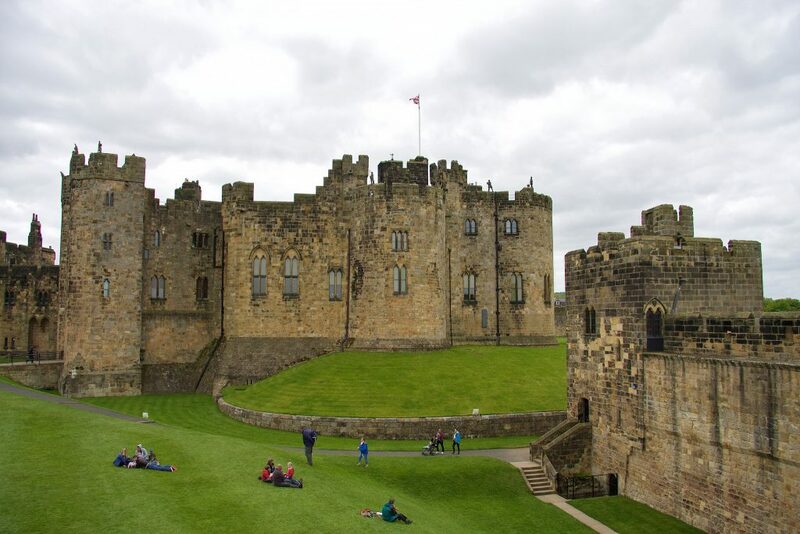 Famous for its iconic use in the Harry Potter movies, Alnwick Castle was used for filming parts of the Great Hall and Castle grounds. 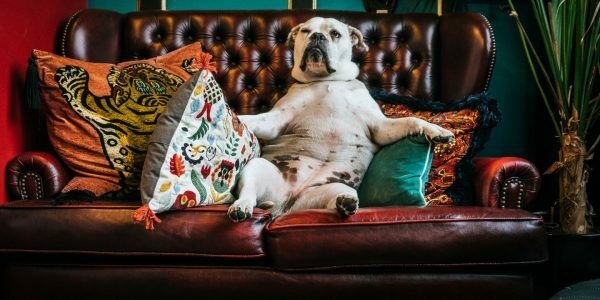 If that wasn’t enough of a starring role, it also appears as the magnificent Brancaster Castle in the much loved English TV series, Downton Abbey. All sorts of shenanigans can be had on the site including themed nights for all occasions. They even have broomstick riding lessons so you can truly feel at home in Hogwarts. Miramere Castle is a joy to behold. The castle juts out of a rocky outcrop across the Gulf of Trieste in Northeastern Italy. It sits on a peninsula over pristine waters surrounded by foliage, with its fresh white brick walls it paints a pretty picture. The castle is surrounded by a number of parks that house plants and species both local and tropical. The interior boasts designs inspired by the owner’s keen wanderlust. To reach the grounds, hop on bus 6 to Grignano, and take a pleasant 15 minute walk to the castle. If you saw a picture of Lichtenstein Castle you’d be surprised to discover it was actually real. This impressive little castle with its cute tower and connecting bridge looks as if it were photoshopped. 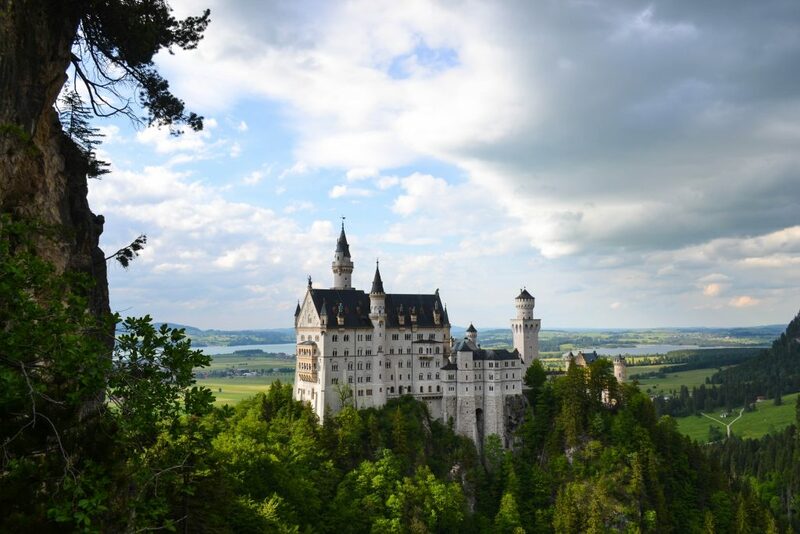 Witnessing the sheer beauty of this place, it’s no surprise that it’s come to be known as “Neuschwanstein’s little Brother.” It is the most famous castle in all of Germany and headlines the top of this post. 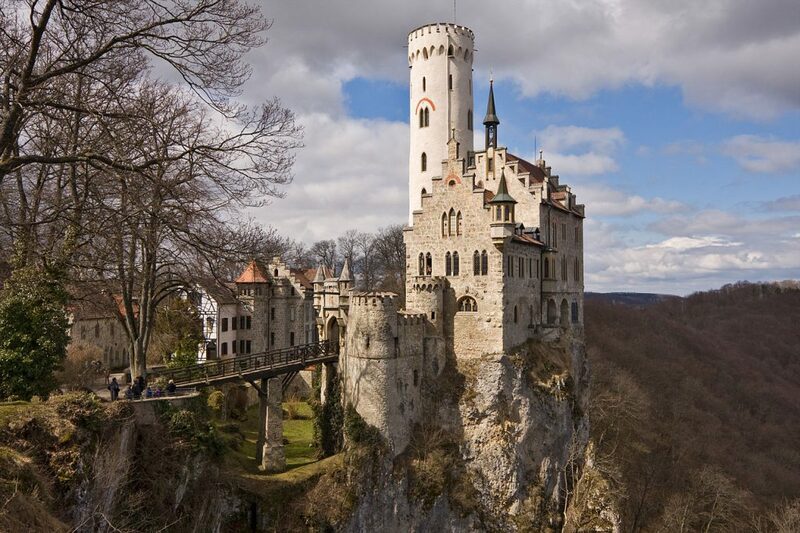 Though famous in Germany, Lichtenstein Castle is relatively unknown around the rest of the world. Tours are only available in German. Incidentally, it makes this place the opposite of a tourist trap and a perfect place to visit to witness one of the most beautiful castles in the world. If you’re already planning to see Neuschwanstein, why not tack on a visit to Lichtenstein to really appreciate the beauty of these grand structures. Plus, the views from the castle overlooking the Swabian Alps is nothing to cry about. 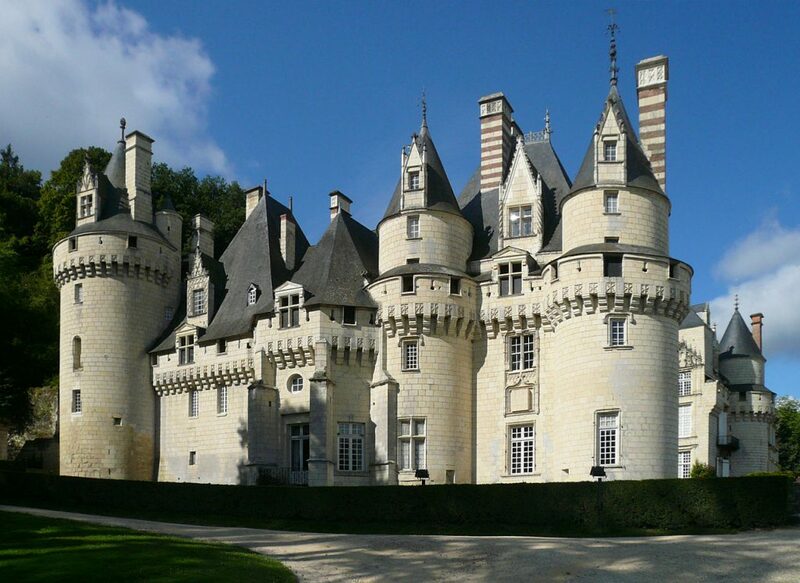 Step into a real life fairytale inside Château d’Ussé in the heart of the Loire Valley. Contradictory to its inspired namesake – Sleeping Beauty’s Castle never sleeps. This grand collection of turrets and bedrooms was the inspiration for Charles Perrault’s Sleeping Beauty, and any princess would feel at home in this grand palace. The grounds can be explored by every corner with delightful dioramas depicting the tale of Sleeping Beauty in its richly decorated rooms. Like a giant birds nest nestled along the edge of a cliff face, this tiny little castle is effortlessly charming. 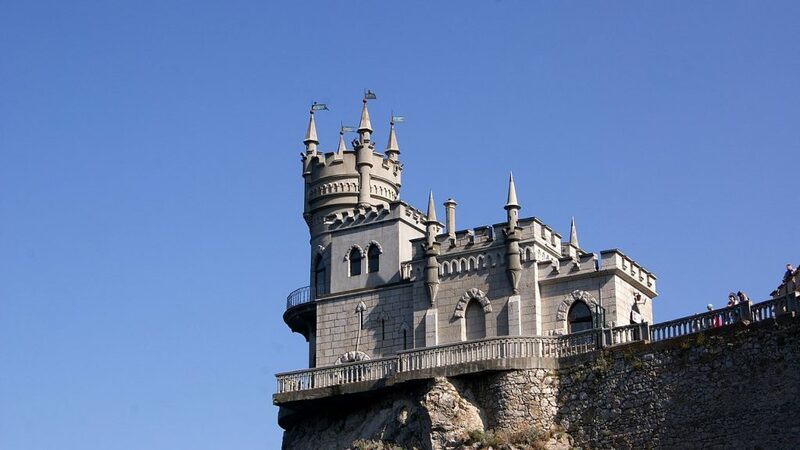 It boasts a castle viewing deck that looks out across the Black Sea, and is a gorgeous addition to Crimea’s southern coastline. 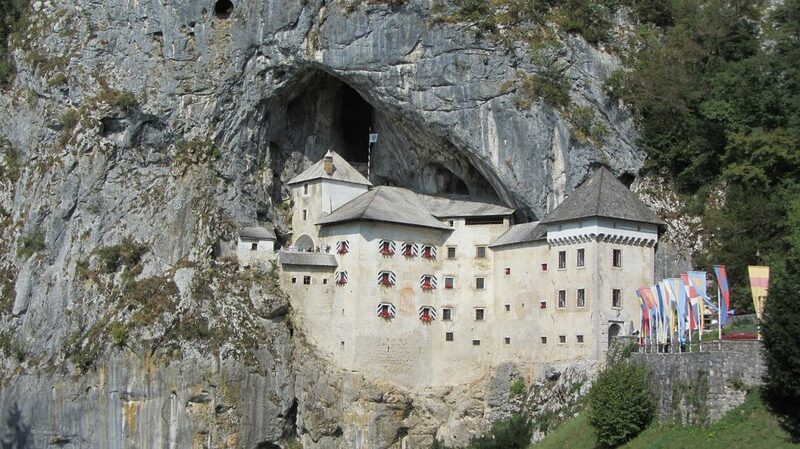 We’ve had clifftop castles and castles out to sea, however Predjama Castle is a little different. Rather than being built on a mountain, it was built into the mountain and is known as “the castle in a cave.” You can see Predjama carved dramatically into the side of the mountain halfway up a cliff. 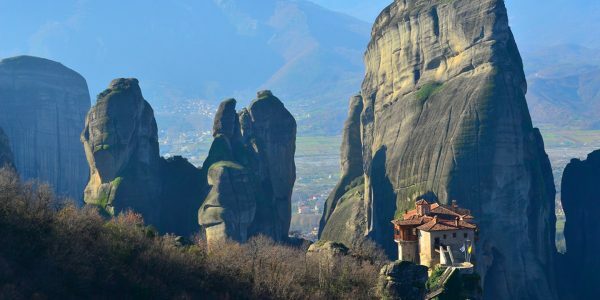 The higher the better when it comes to a castles impenetrability, but the thought of lumbering heavy rocks up the side of a sheer cliff face would terrify the best of folk. The castles Baron, Erasmus Lueger was as daring as the castle itself. 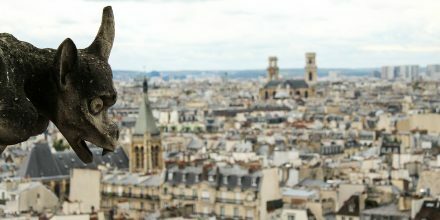 He was known as a regular ‘Robin Hood’ who stole from the rich and gave to the poor; carrying out his deeds through a secret passageway that led through the mountain. Tours of the castle and the cave below can be booked here. Bear in mind, Predjama cave system is closed in the winter months to protect a colony of bats. Could this place get any more whimsical? 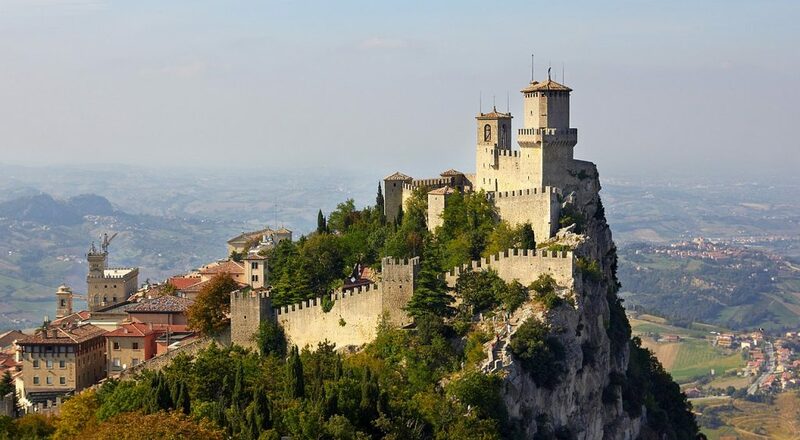 Guaita is built atop one of three mountain peaks that overlook the city of San Marino. It was built directly onto the mountain and its ramparts span the towering hills that once sheltered the people during sieges. The Guaita is the oldest of the three and the most famous. 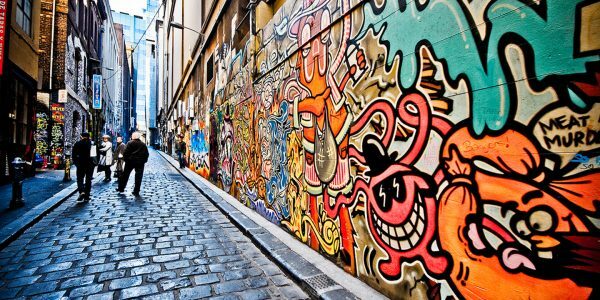 Once upon a time it served as a prison to house inmates and is consequently considered one of the oldest prisons in the world. 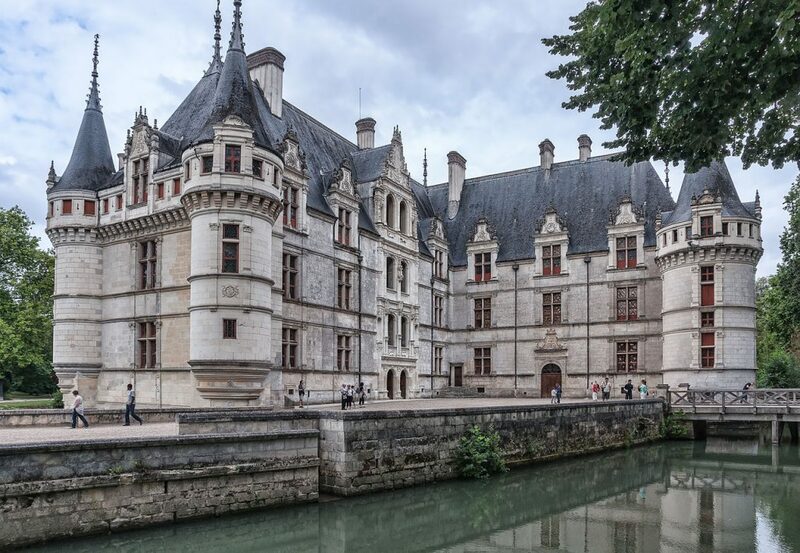 France has no shortage of chateaux, incidentally, a lot of them are looking for new owners to take a chance at restoring their grand exteriors and dilapidated interiors. Examples of early French renaissance architecture include circular turrets with pointed roofs. These are iconic of the new art buildings in the Loire valley and can be found in numerous chateaux across France. Château D’azay-le-rideau is regarded as one of the best examples of its kind for its iconic blue/grey roof and mesmerizing perfect symmetry. 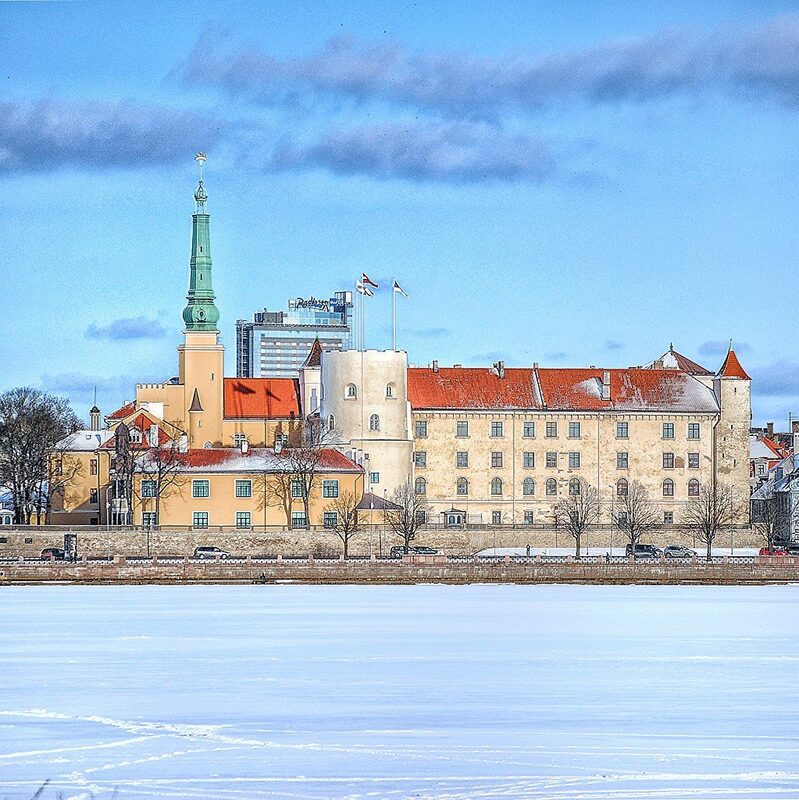 Riga Castle sits in the banks of a river in Latvia. Having been reconstructed many times, the castle has taken on aspects of design from a range of eras. The bay tower is in the baroque style while the rooms are decorated with exquisite Art Deco design. The castle has six towers and its colourful visage is a joy for the eyes. The reflection on the water with all the lights lit up is particularly appealing.